Highly explosive. Large Plinian eruption every few 1000 of years (the last ones at about 1000 BP and 2000 BP), sometimes with associated flank collapse. Growth of lava domes, pyroclastic flows. 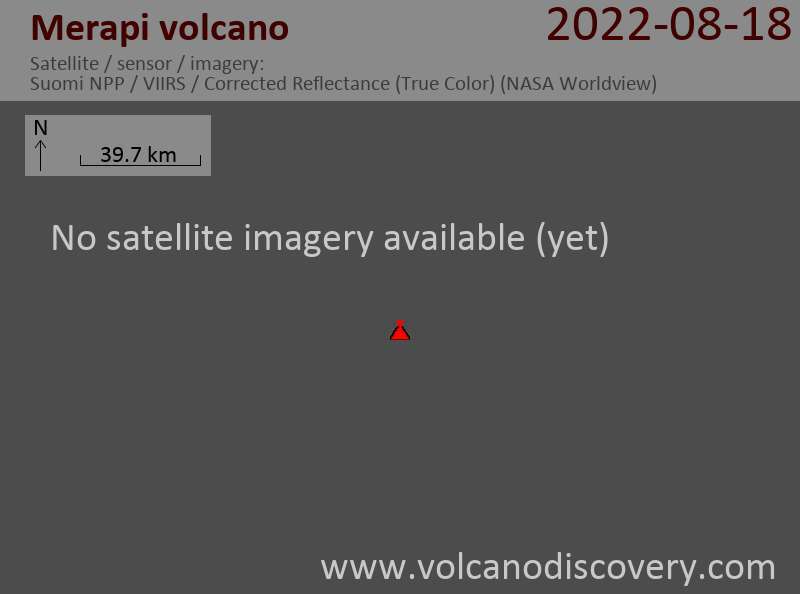 However, the situation is slowly (but almost surely) becoming more dangerous: As the dome grows, the risk of larger, sudden explosions increases, as well as the risk that the dome over-spills or breaches the crater rim. In that case, its activity will directly threaten the densely inhabited areas downslope, as pieces breaking off the lava dome can easily turn into glowing avalanches (pyroclastic flows) that can travel many kilometers and devastate everything in their path. As for now, authorities have raised the alert level to 2 (on a scale of 1-4) and closed the summit area for climbing. Ash fall was noted in the Jrakah observatory from around 09:00 and shortly after also in the Selo observatory post (northern side). White smoke seen on the vegetated slopes of the volcano likely indicates that incandescent bombs (or small glowing avalanches) impacted there and ignited bush fires. Merapi volcano Volcanic Ash Advisory: ERUPTION REPORTED TO FL300. 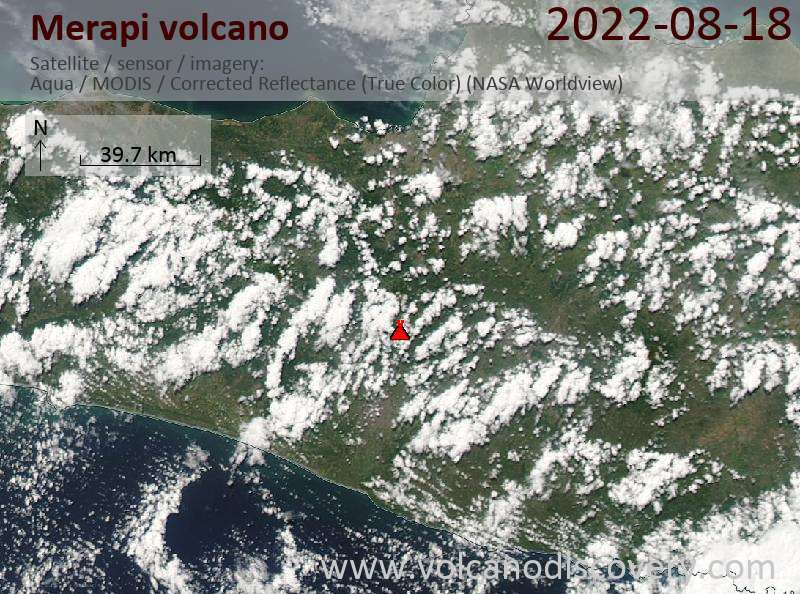 Merapi volcano Volcanic Ash Advisory: CVGHM REPORT ERUPTION TO FL140 MOV W.
The exact height of the ash plume is unclear, but the volcano observatory reported it as 5500 m above the summit. Darwin VAAC in turn estimated the top of the ash plume having reached up to 50,000 ft (15 km) altitude (which might be overestimated) and issued a warning to aircraft in the area as the ash cloud was moving south at 20 knots. According to preliminary information from the volcanologists, the eruption was likely an isolated event, a phreatic explosion with no new magma involved, but rather the result of overpressure accumulated over time as water and magmatic gasses trapped inside the plugged conduit suddenly burst free. Merapi volcano Volcanic Ash Advisory: EXPLOSIVE ERUPTION TO FL500.